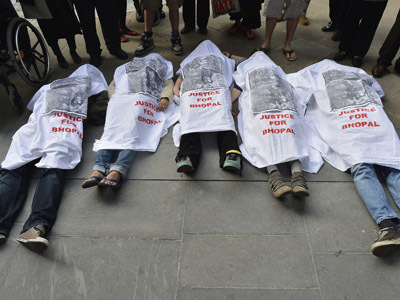 Residents in east London have threatened to form human barricades to prevent missiles being installed on the rooftops of their homes for the Olympic Games. 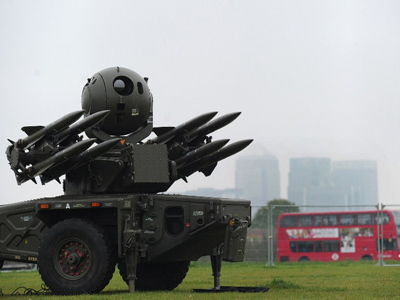 Six sites in east London have been earmarked for the deployment of Rapier and Starstreak missiles, each with a range of over three miles and capable of travelling at three times the speed of sound. During the Olympics, London will have more soldiers on the streets than at any time since the Second World War and that there will be more armed personnel patrolling the capital than the entire number of British troops serving in Afghanistan. 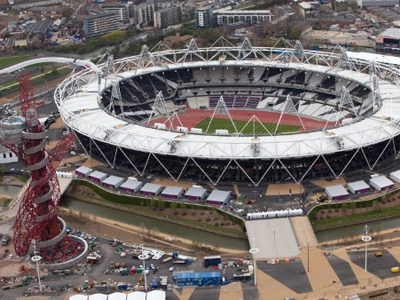 This amounts to far more security than was in place at the Beijing Olympics. 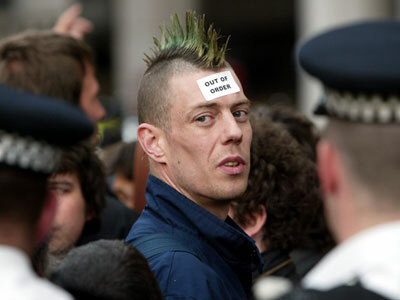 Critics claim there has been a militarization of London in the run up to the games. 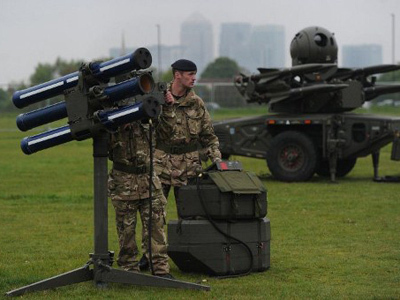 Inhabitants of an upmarket gated development in the upmarket Bow Quarter, announced at the meeting on Thursday night that they would do everything in their power to stop the deployment of the missiles. A local campaigner against deploying weapons in the Bow area, Chris Nineham, told RT that “they were a threat to the life and limb of people” who live there. Other sites include Blackheath Common, the Lea Valley Reservoir, Oxleas Wood, Barn Hill in Epping Forest, and a playground in Waltham Forest. 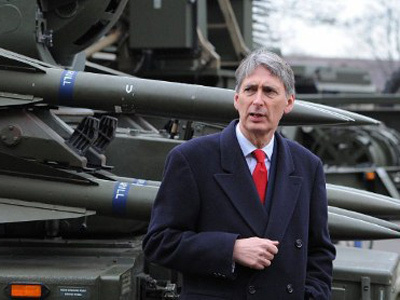 The Ministry of Defence informed local communities of the potential decision in leaflets handed out in April and has declined to talk to local people until a final missile deployment decision has been made. However, Nineham, who lives within a mile of one of the proposed sites, says he was never informed by the MOD. Chris Nineham, who is also vice president of the Stop-the-War Coalition and who set up the Stop the Olympic Missiles campaign, told RT that there had been no consultation from the Ministry of Defence or the Government with locals.